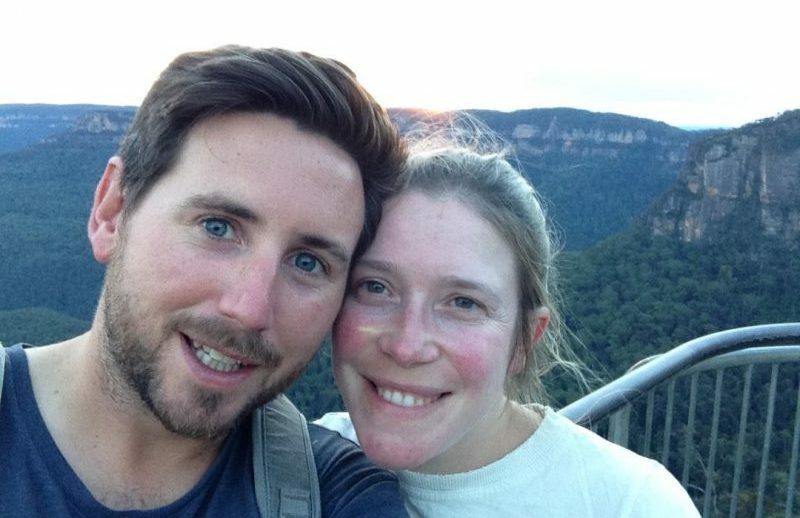 Jon and Lizzie spent last winter exploring South America, Australasia and South East Asia. Back home, they are a BBC journalist and a freelance video editor living between Beverley, East Yorkshire and London. Seven uninterrupted months of travelling together made them vow to improve their work-life balance and spend more time on the things they enjoy. So, where and when did you go on your big adventure together? We flew out to New York for a week last September before moving on to South America: Ecuador, Peru, Bolivia, Chile, Argentina and finally up to Rio in Brazil. After that, we spent six weeks travelling around New Zealand in a campervan and visited friends in Australia. The final month or so we spent in South East Asia, travelling in Malaysia, Thailand, Laos and Cambodia. We absolutely loved all of it. Jon: It’s always been something we’ve wanted to do together, ever since university. But, we weren’t keen on the idea of taking jobs we didn’t want in order to save up and then building our careers from scratch afterwards. Lizzie: We got to the point where we thought “It’s now or never”. We’d been keen to keep the momentum going with our careers but I was spending too much time away working. I wanted more of a work-life balance and to spend some time with Jon. There’s no point putting in all that effort at work if it means we can’t enjoy our lives together. So, we went for the extreme approach and took seven months off together! J: We’re also hoping to start a family soon and wanted to have this time just for us before we do. Having said that, we met plenty of people travelling with children. Did you have any hesitations about your trip? J: I tend to be the organiser of the two of us (we play to our strengths!) and I had a few worries. I was particularly concerned about safety in South America and wanted to prepare us for the potential pitfalls so I did a lot of research. I also took some basic Spanish lessons, which really helped us in South America. (Lizzie: What’s the Spanish for deodorant, Jon?! L: I knew I’d be outside of my comfort zone having not travelled before. I also had a few worries about what to pack and how on earth I’d fit it all in my bag! Did you have a favourite place you visited? J: Everywhere was fantastic. Can we have three each?? My favourites were Peru, Argentina and Cambodia. 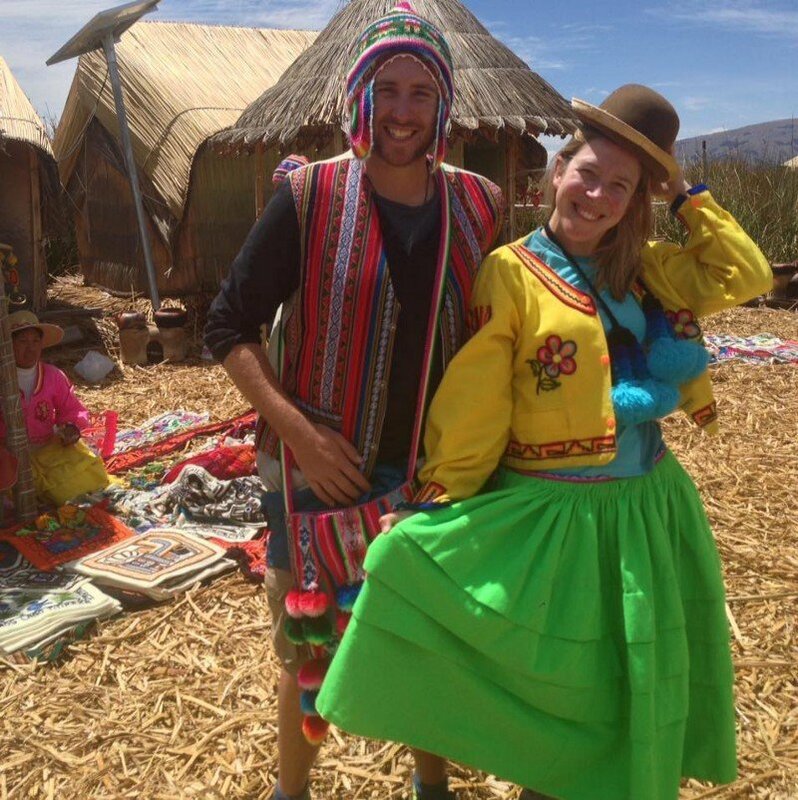 Peru had the tradition and history that you imagine when you think of South America. It’s also really diverse, too. There’s surfing near Mancora, the jungle around the Amazon basin, the city of Lima and then hiking trails and Inca heritage around Cusco. We missed the Rainbow Mountains, but we’d have loved to have seen those too. Argentina is a little more European in feel. The scenery is on a massive scale and absolutely stunning. And there’s fantastic wine and food! In Cambodia, everyone seems genuinely happy. The country isn’t wealthy and has such tragic recent history, but you can tell that people are making the most of life. There are beautiful places there that feel undiscovered, too. It’s really a young, up-and-coming country that I’m sure is only just emerging. Argentina, Chile and Thailand. And one more, Laos. As Jon said, Argentina has great wine, great meat and also such beautiful diverse terrain to explore. There are lakes, mountains, vineyards, ranches and also a very vibrant capital city in Buenos Aires. I also loved Chile. It seemed like a lot of other travellers had overlooked the capital Santiago as “just another dirty city” but we had a completely different experience. The city felt progressive and safe, and we stayed in an area called Bella Vista which was quirky, colourful and full of green spaces. From there, it was only an hour to beautiful vineyards (did I mention I love wine?!) and the graffiti-covered coastal town of Valparaiso. The Atacama Desert was also a highlight. The stargazing there is amazing. Thailand was a very pleasant surprise. I thought it would be hugely touristy and, except for Bangkok, it really wasn’t. There are still islands that feel unspoilt and where you can get great value for money. Chiang Mai was an absolute delight — so much so, that we stayed an extra five days. I also absolutely loved Luang Prabang in Laos, with its French influence and beautiful old-fashioned buildings. Is there any one experience or highlight that stands out for you? J: The Inca Trail was breath-taking, especially on the final morning when we saw Machu Picchu for the first time from the sun gates. It was incredible. L: Our other highlights were the Salt Flats, diving in Thailand and swimming with dolphins in New Zealand. Was there anywhere that didn’t live up to your expectations? L: Not exactly… We absolutely loved New Zealand and I still dream about it at work! But we’d hyped it up in our minds and were a little disappointed by how expensive it was and how much it’s awoken to tourism in some places. That’s not to take away from the beautiful scenery or the experience of living out of the campervan, of course. J: In a way, New Zealand was a little too similar to the UK. It’s probably the one place that we could see ourselves living one day. Were there any major hiccups or challenges whilst you were away? J: I hurt my leg quite badly. I ended up going to hospital in La Paz to have a cortisone injection (Liz: in the buttocks!) and my leg put in a cast for a few days. The treatment and service by the hospital staff was great though, so I felt really well looked after. We also had a couple of minor issues with weather, bank charges and coaches in South America (a journey can be 24 hours so quality is quite important! )… But there’s only so much research you can do. L: Sadly, my phone drowned when we were walking along the beach in Rio and were taken out by a freak wave. Ironically, it was whilst talking about how lucky we’d been not to lose anything precious. Lots of travellers worry about having belongings stolen in Brazil but, no, mine went into the sea. Did you learn anything new about yourselves on your travels? J: Being away gave me time to think about and explore the things that I enjoy outside of work. I really got into my scuba diving and am now working towards getting qualified as a dive master and instructor. I also did lots of writing, including a children’s book that I hope to publish one day. Since coming home, we’re trying to improve our work-life balance and seize the day a little more. I’d love to do some more walking, cycling and scuba diving closer to home in Yorkshire. I’m also keen to progress with my Spanish! L: Cambodia really affected me and I’m determined not to let myself forget how that felt. It might sound like a cliché, but people really do live with a lot less than we do and are much more content with what they have. In the past, I’ve probably allowed my job to become over-dramatic and all-consuming at times. I’m learning to put things more into perspective. Yes, work can be stressful but sometimes it’s more stressful than it needs to be. Did you learn anything new about each other? J: I was amazed by how well Liz adapted to backpacking, given it was her first time. She really took it all on the chin. We’ve been a couple for 14 years, so there were no major surprises! How have your perspectives changed since coming home? L: Whilst we were away, we both agreed that we should simplify our lives. Of course, reality sets in at home and you realise you can’t just completely overhaul your life and start living in a tent. But even if it’s just a shift in attitude, that’s a positive thing. J: It’s made me realise that we don’t need to earn as much money as we do at the moment. We still love our life as it is — but there are always other options if we did want to go off and do something completely different for a while. How have you found adjusting back to “real life”? J: It’s been quite tough! I work for the BBC and the first day I got back in they called the snap election, so I’ve been working 60-hour weeks. But, we’ve got to earn some pennies again. L: Almost every single place we visited, we’d like to explore more. People said to us that our outlook would change and that we’d catch the travelling bug. I thought it was a cliché and seven months would be more than long enough to get it out of our systems. But, it’s true. We’ve come back and just want to do more of it. It feels like we’ve opened Pandora’s Box! J: We’ve no major plans yet about what will happen in the future. We’re settling back into work and life, but we know that if we were ever to lose our jobs we’d consider it an opportunity to travel or live elsewhere. We could quite easily move somewhere and live more simply, even with children. So, do you see yourselves moving abroad one day? J: It’s funny — I had thought I’d be living in Beverley for the next 20 years and now it doesn’t feel so set in stone. And that feels ok.
We’re interested in New Zealand as a place to live, but our current jobs and skill set probably wouldn’t fit there. This trip has opened our eyes and made us realise that our careers and lives could change, and may well need to one day. L: I’m a freelancer but my projects tend to be long-term and based in London, away from home. It’s definitely on my radar that I’d love to do something that brings me a bit closer to Jon and to our home, wherever that might be. We have friends who are self-employed and can live anywhere, which is an interesting prospect. Finally, which items did you take that you couldn’t have done without? L: Factor 50 and Compeed blister plasters, which don’t exist in South America. J: Ear plugs and eye masks were both crucial for sleeping in dorms and on buses. On the other hand, I was utterly convinced that we’d need water filter tablets for South America but I still have every single one! J: Don’t forget — we’re here for a good time, not a long time! A big thank you to Jon and Lizzie for being great fun to interview, making us laugh and sharing fond memories of their wonderful trip.